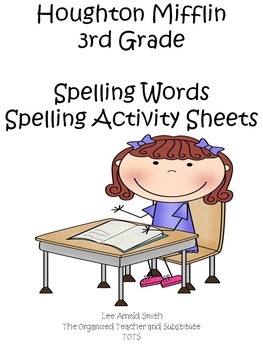 The Spelling Words Lists and Activity Sheets are a complete set for all themes for the 3rd Grade Houghton Mifflin reading series for the entire year. 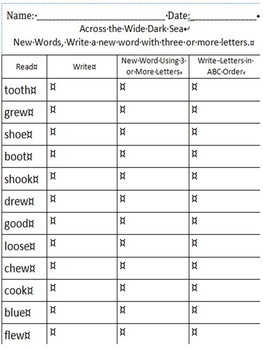 File 2-Complete Set of Spelling Activity Sheets for each Reading Theme. 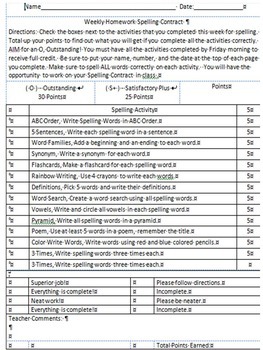 Each Reading Theme has 35 spelling activity sheets to choose from. No Commercial Use or Sharing of this Product through Internet Groups or Blogs, School District Websites, School Websites, Personal Websites, or Offline Groups. If you download this product please take some time to rate it and provide me with some feedback. As well, please consider becoming a follower on my TPT store so that you will receive notification when I post more products for the T.O.T. & S. and to my TPT site. 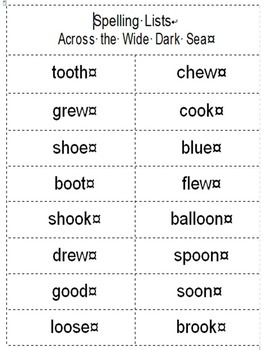 This download is intended for use in one classroom only. This item is also bound by copyright laws and redistributing, editing, selling, or posting this item on the Internet are strictly prohibited without gaining permission first from the author. See all products available from this Seller HERE. Thank you for your purchase from our TPT store!